Location: Mt Buffalo (near enough) Victoria, Australia. Comments: Although I ticked Boulder, Toprope & Sport; I really only (occasionally) play on them as physical training for Adventure (Trad) Climbing or Aid, (prefer multipitch in both cases). Roped-soloing (aid) Country Road at Mt Buffalo. [A larger version can be found in photo of the week archive here.]. Roped-soloing (aid) M5 Sportclimb ~> the top pitch of Strange Ritual on the headwall of Ozymandias Direct/Lord Gumtree at Mt Buffalo. ... Equalised hooks on a dubious (can feel it but not see it), crimp to top-out ! Read about this climb here; (re photos below). 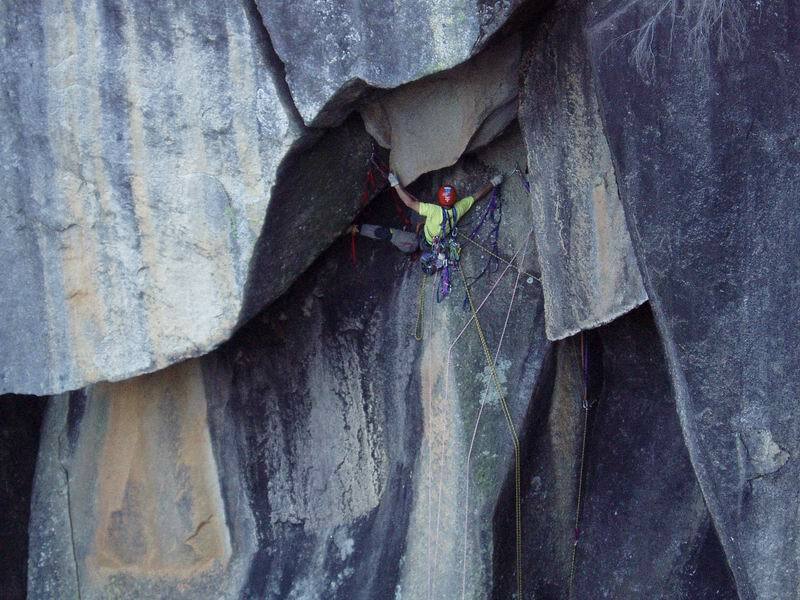 A link to yet another photo of the week from its archive ~ Lest We Forget (how to free climb? Hehheh9), can be found here. 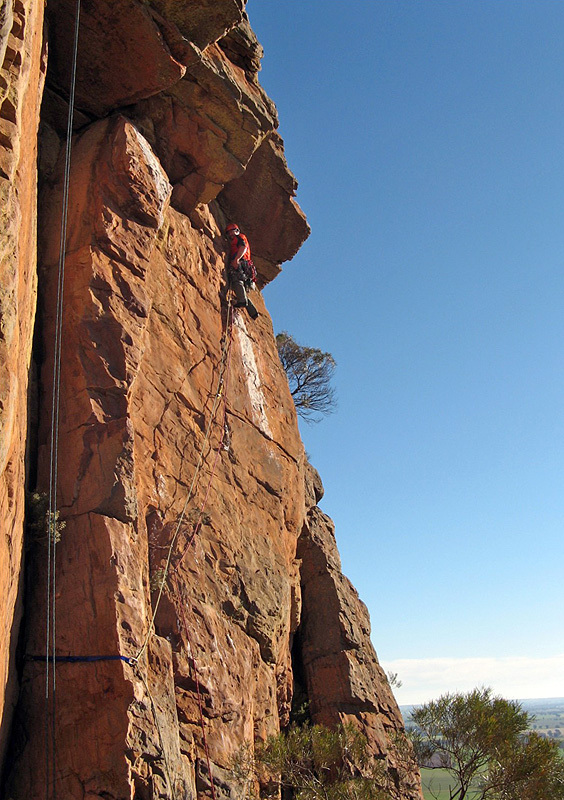 This climb is at The Rock (between Holbrook and Wagga Wagga NSW). Official Chockstone statistics say that I am in the lowest percentage climbers group; (My preferred option of aid = 13% only*) I can live with that,.. since some would call me antisocial anyway? "Climbing without risk is not really climbing" ~ Yvon Chouinard. ... and I would add that the day the mental component is taken out of climbing is the day that the adventure is greatly diminished. ~> M9* is something to aspire to. Experience comes from bad judgment, and/or lessons learnt from others. ~ That is why climbing is a game; ... of survival. Enjoy the moments while you can. "A first ascent is a creation. It is more artistic if it consciously rejects the use of certain climbing aids that are not essential to the success of the climb." ~ R.R. "The wonderful thing about standards is that there are so many of them to choose from." - Grace Murray Hopper. "It isnt what you have, or who you are, or where you are, or what you are doing that makes you happy or unhappy. It is what you think about". ~ D. Carnegie. Generally takes 20.58 days to reply.